Tussie Mussie are delighted to be working in partnership with Sentebale to create our new candle Hope. A bespoke blend of woody cypress, fresh eucalyptus and uplifting grapefruit. Cypress represents sorrow, eucalyptus heals the soul and together with grapefruit they combine to bring warmth and a heartening message of hope. 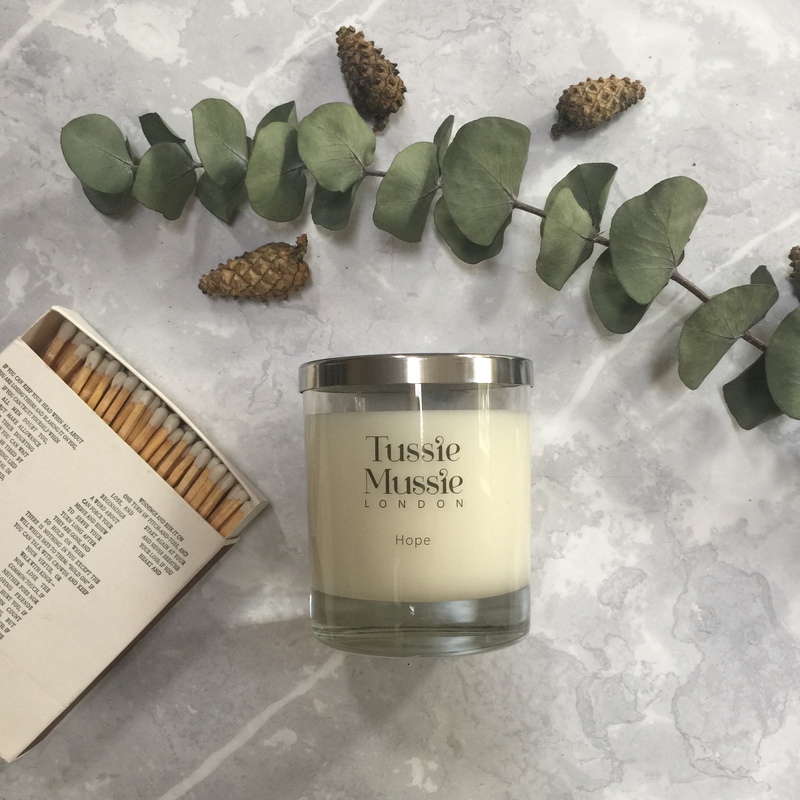 Tussie Mussie will donate £10 from every sale of this Hope Candle to the charity Sentebale. Founded by Prince Harry and Prince Seeiso, Sentebale gives hope to children and young people living with HIV in Lesotho and Botswana, supporting their mental health and wellbeing so they can live long, happy, healthy lives.